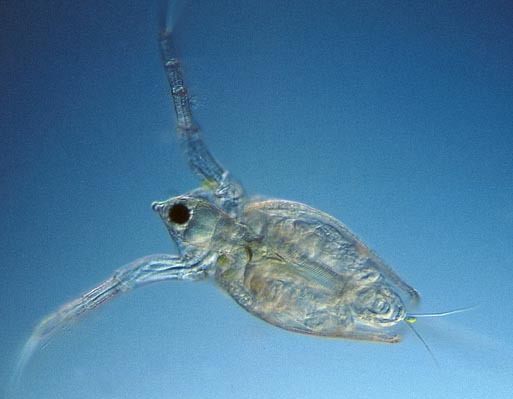 If water-fleas are observed within a shallow dish you can see how they use their powerful second antennae for locomotion. You will also see how feeding takes place using the sieve-like appendages on the legs. These legs are protected by the two halves of the carapace. This image shows how the two halves of the compound eyes are fused together to form a perfect globe.